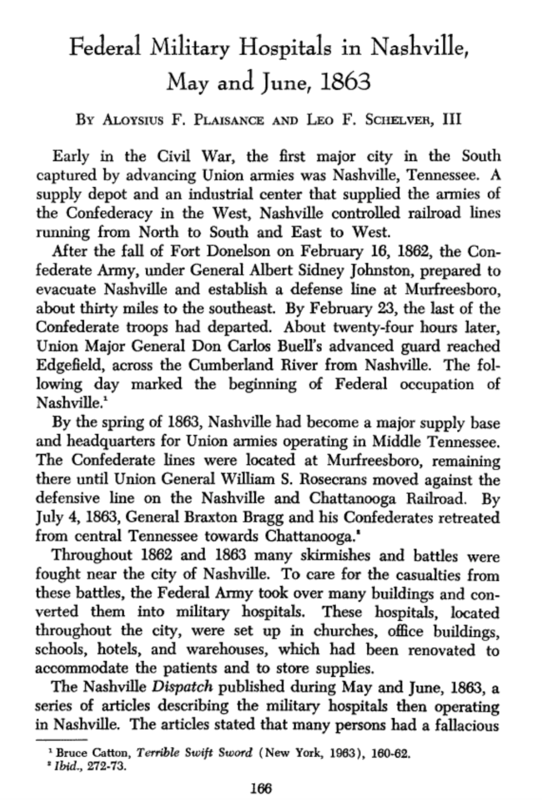 They usually were not restricted to the members of a particular regiment or corps, were established in cities or towns behind the lines. 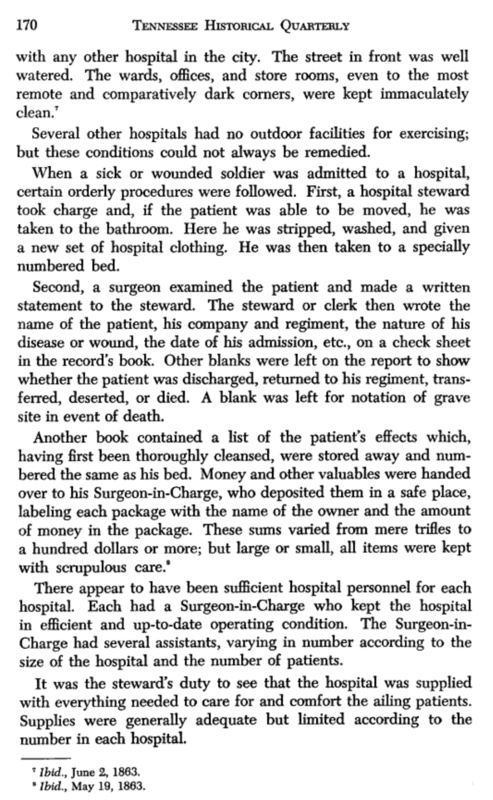 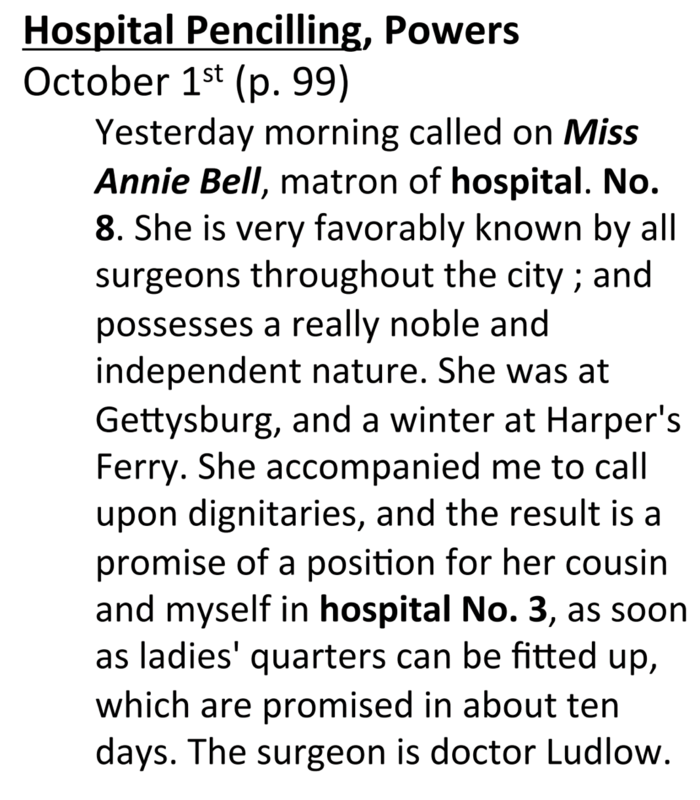 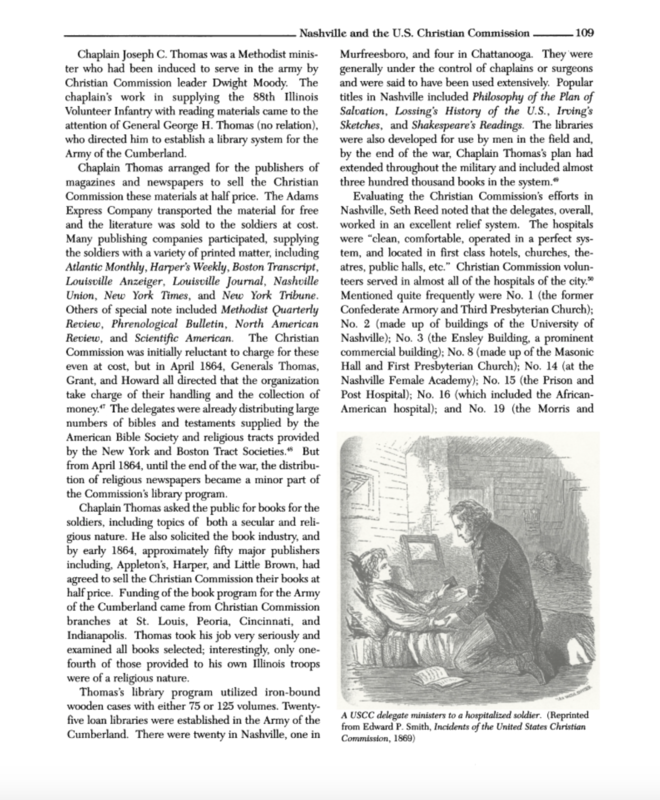 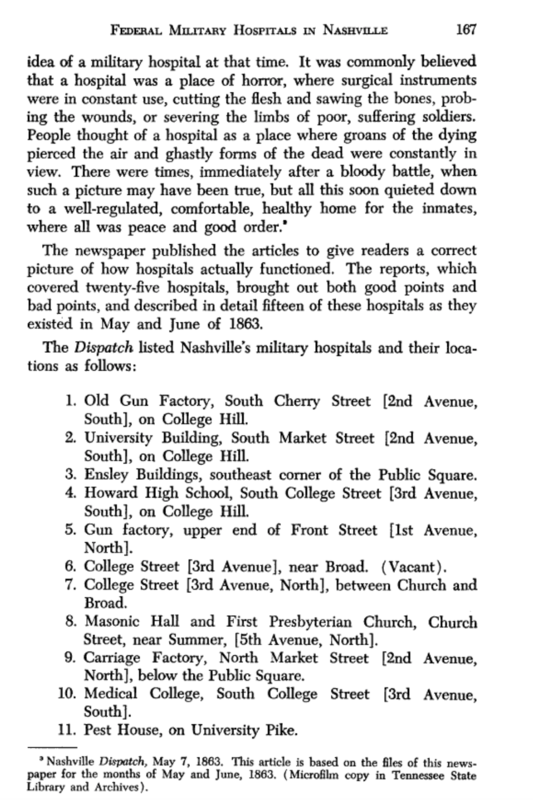 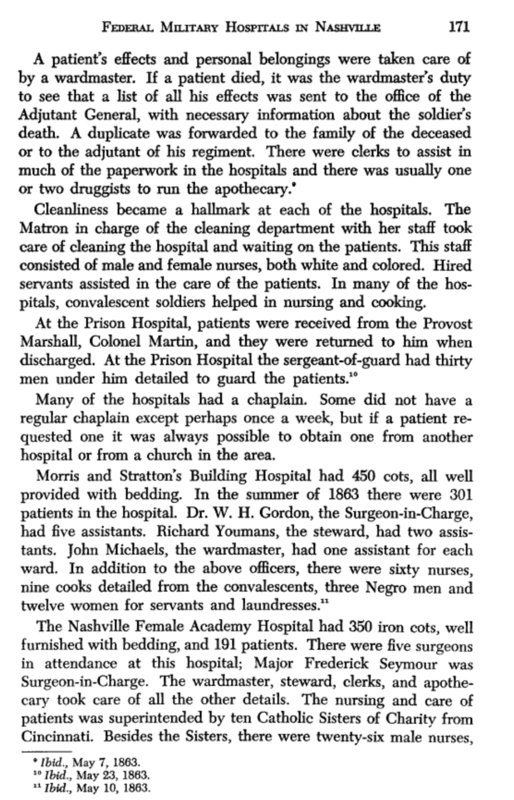 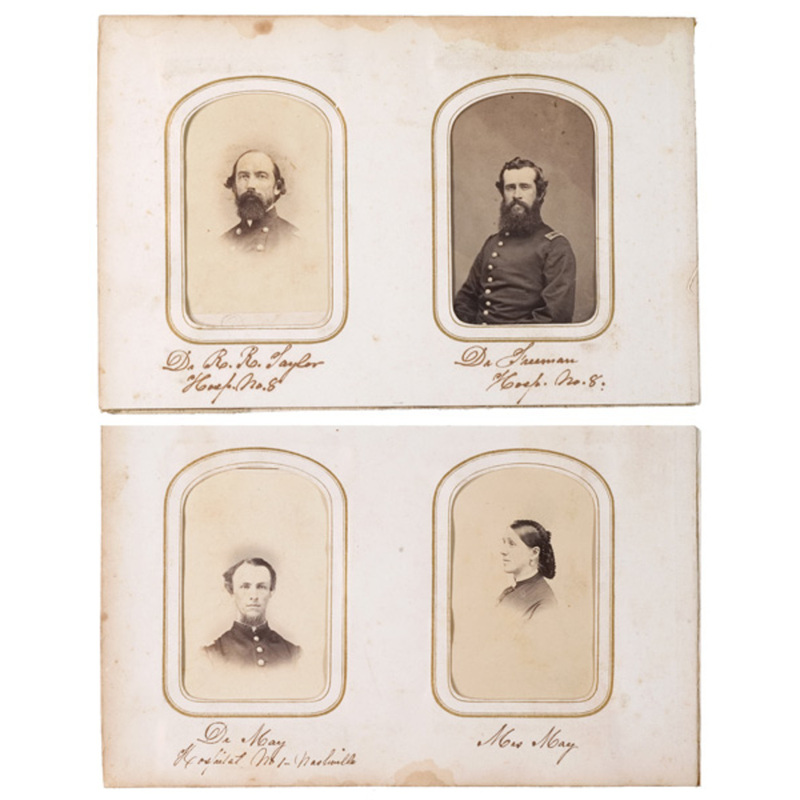 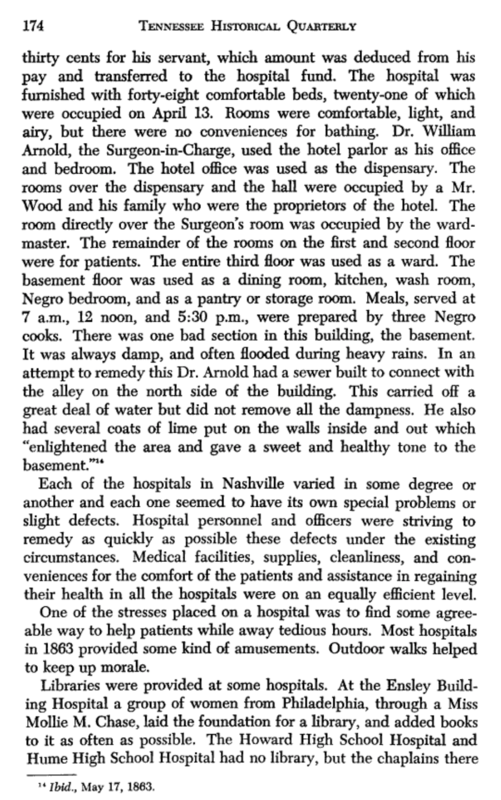 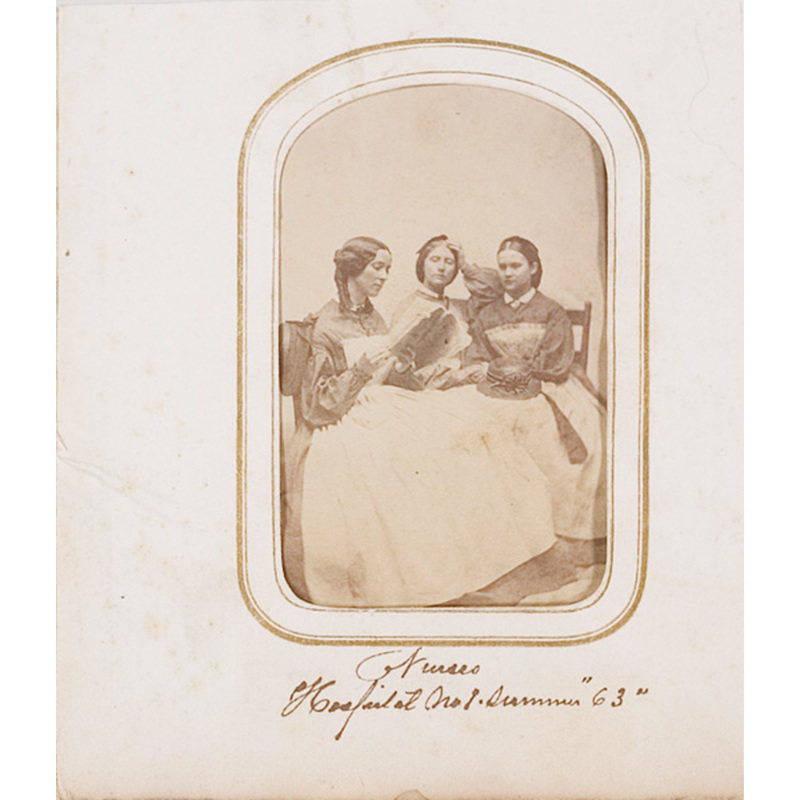 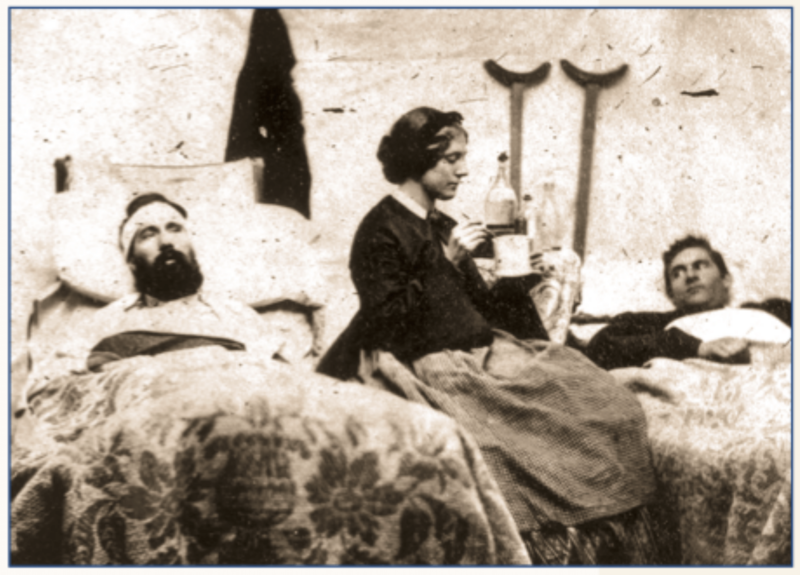 Most general hospitals treated all types of cases although they might set aside separate wards for contagious diseases or a particular type of wound. 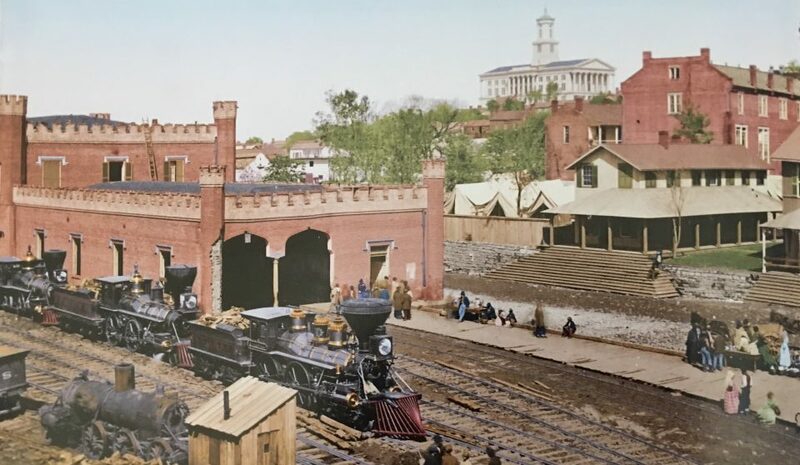 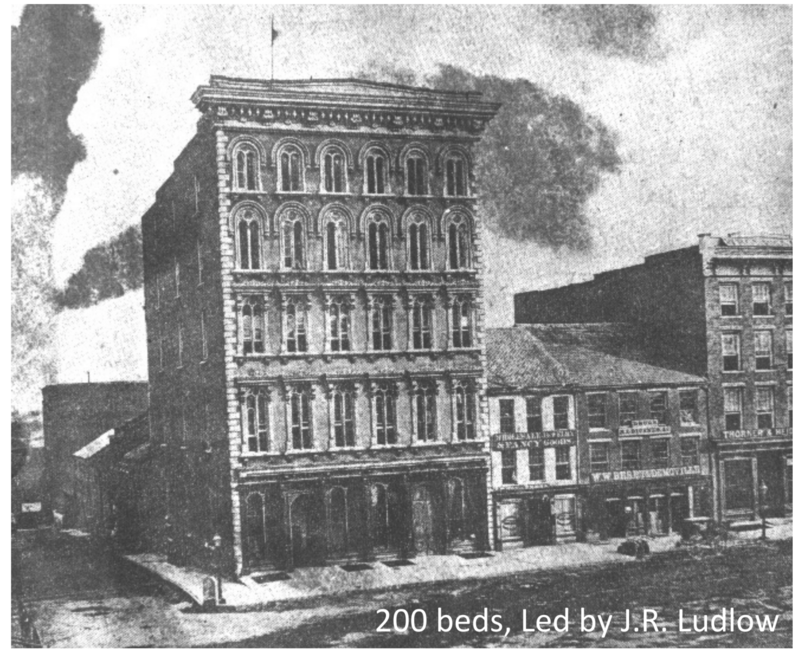 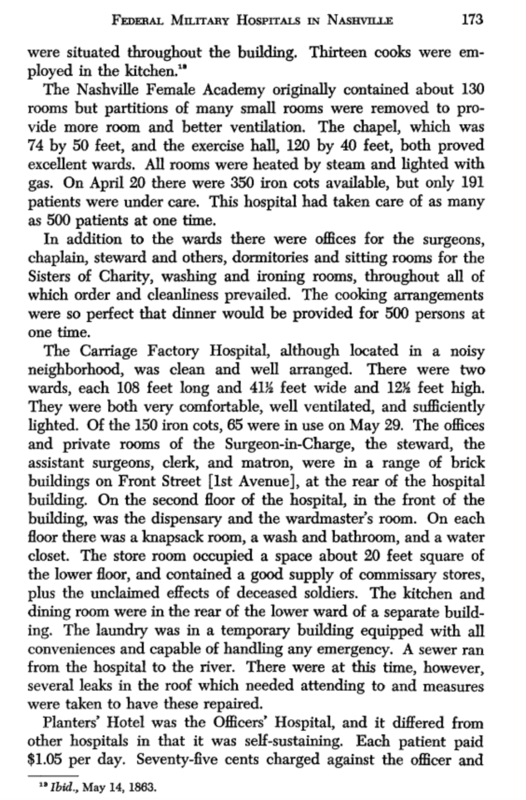 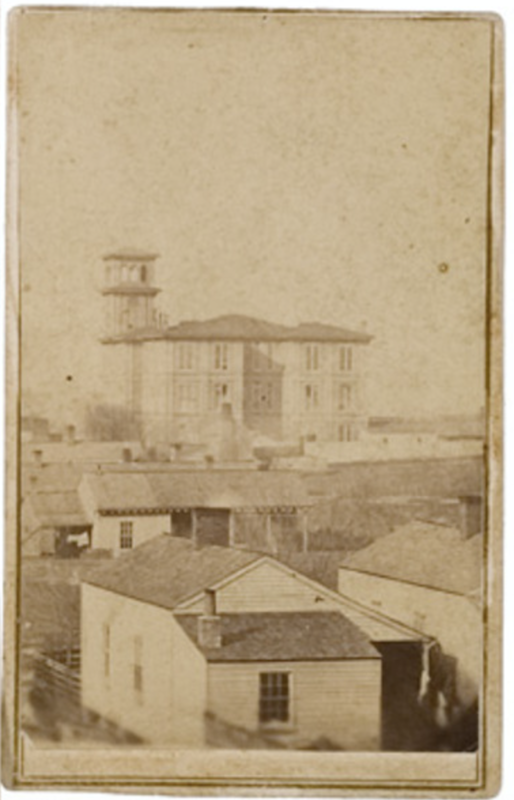 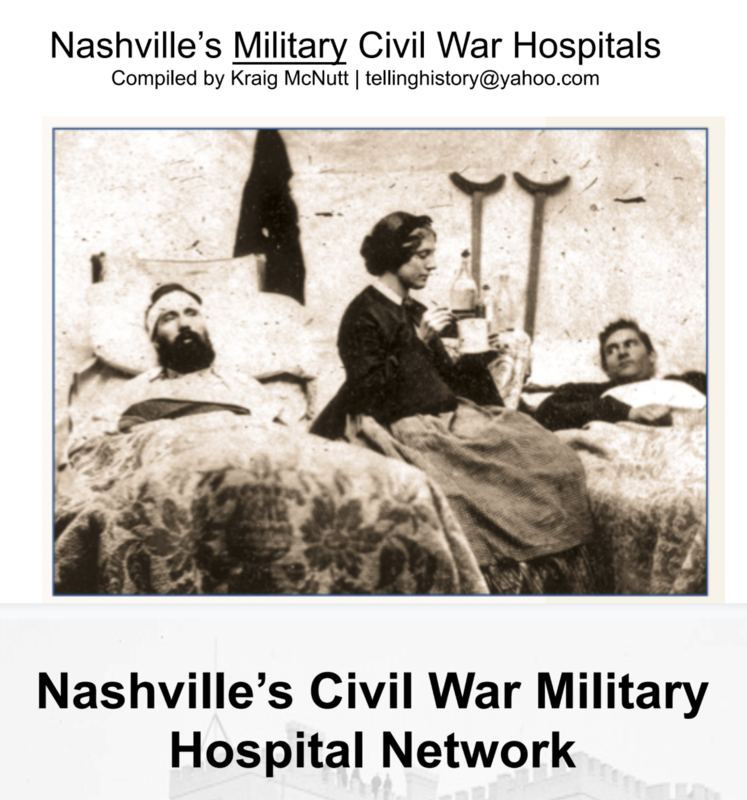 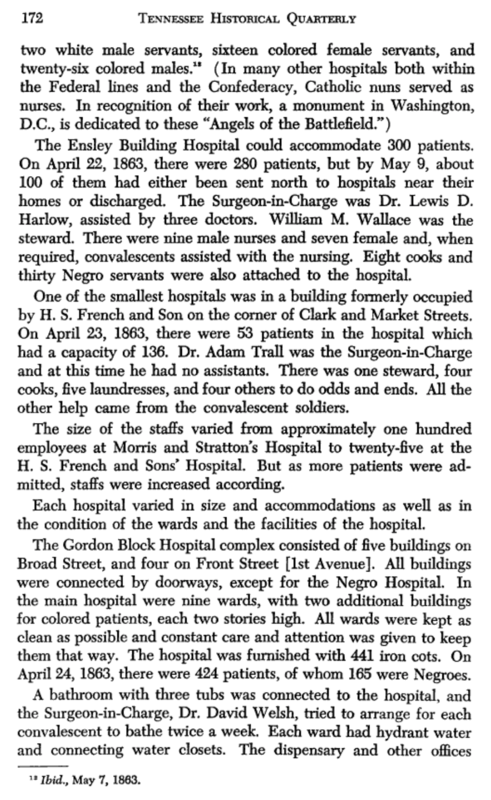 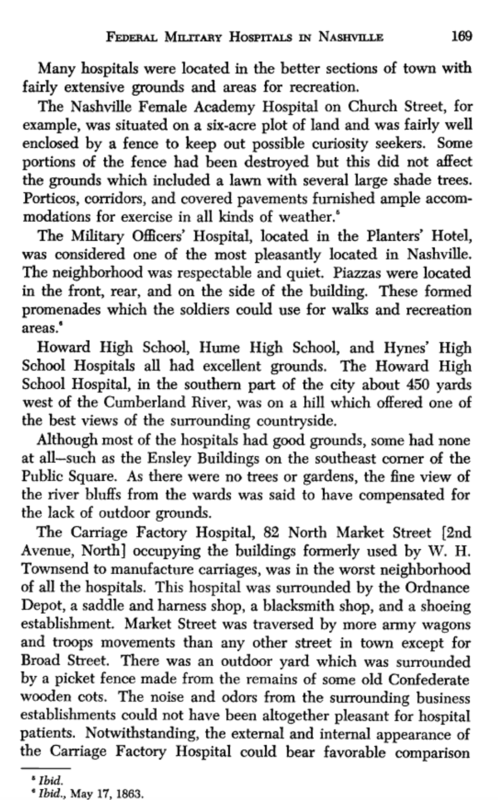 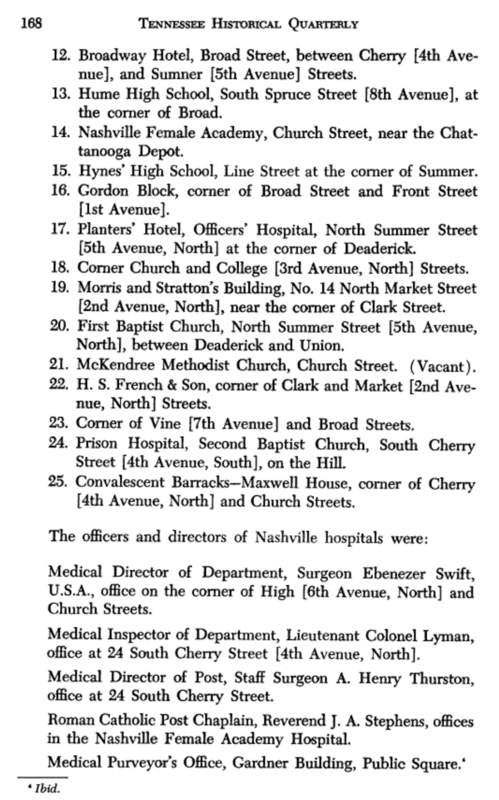 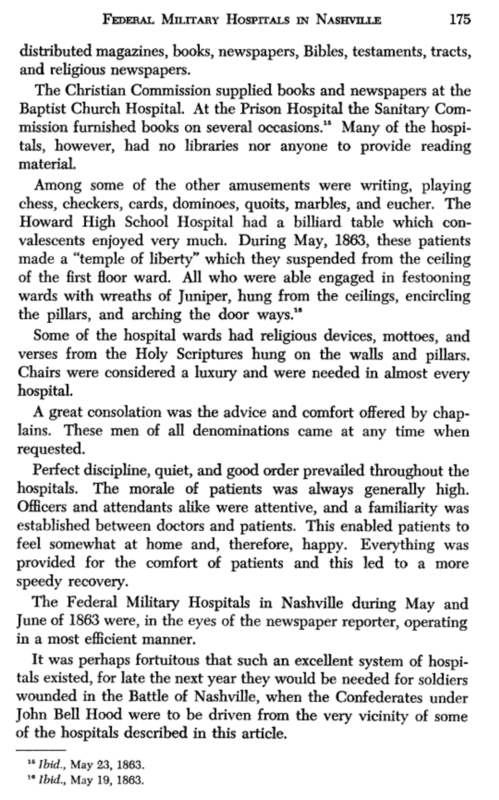 General hospitals were initially established in existing buildings such as hotels, churches, schools, courthouses, and other available structures, but later in the war pavilion wards and other similar buildings were constructed specifically for the hospitals. 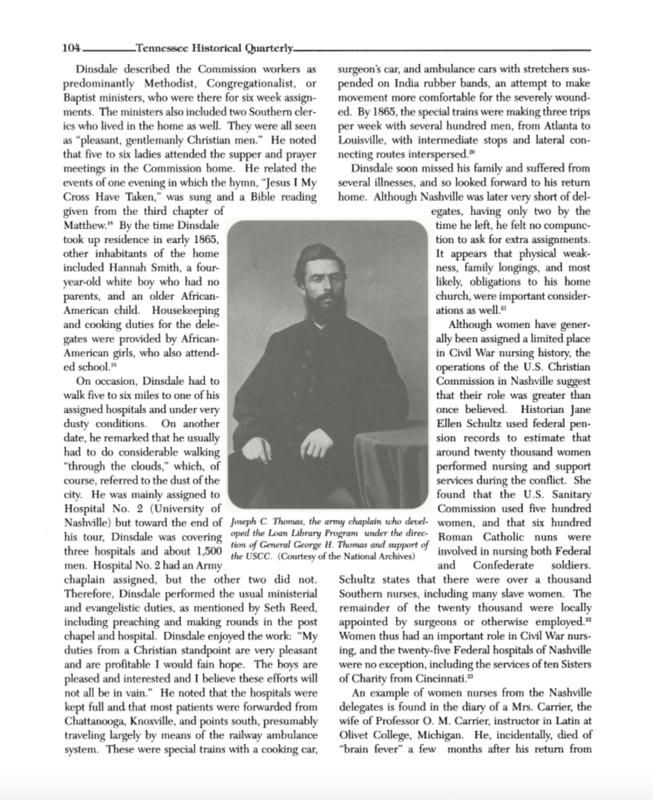 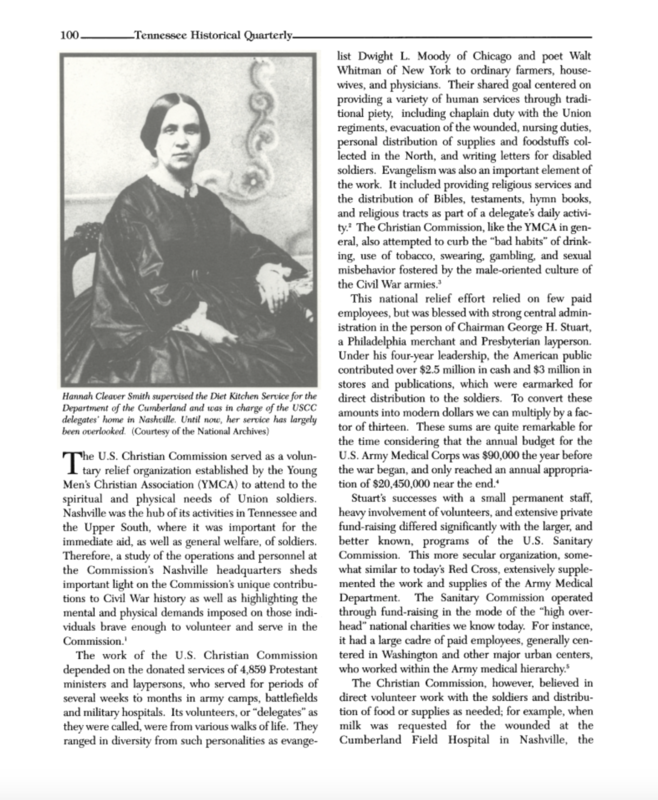 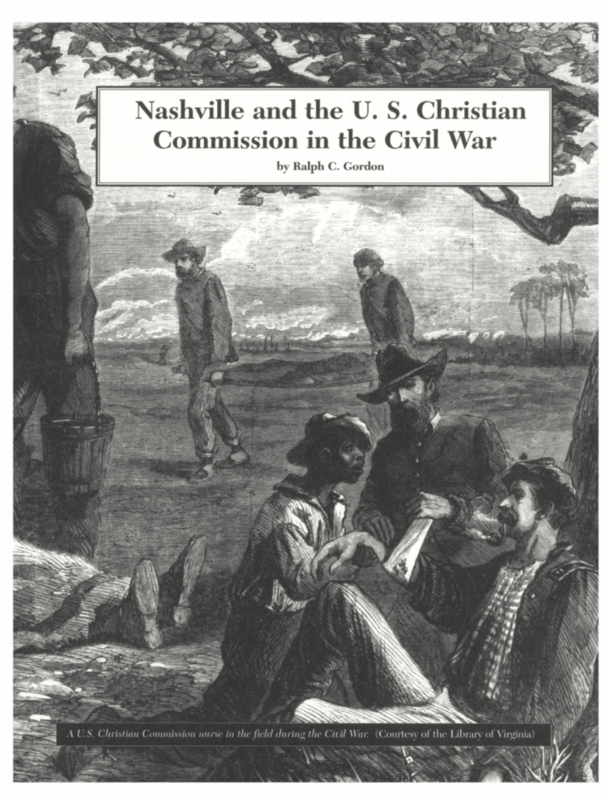 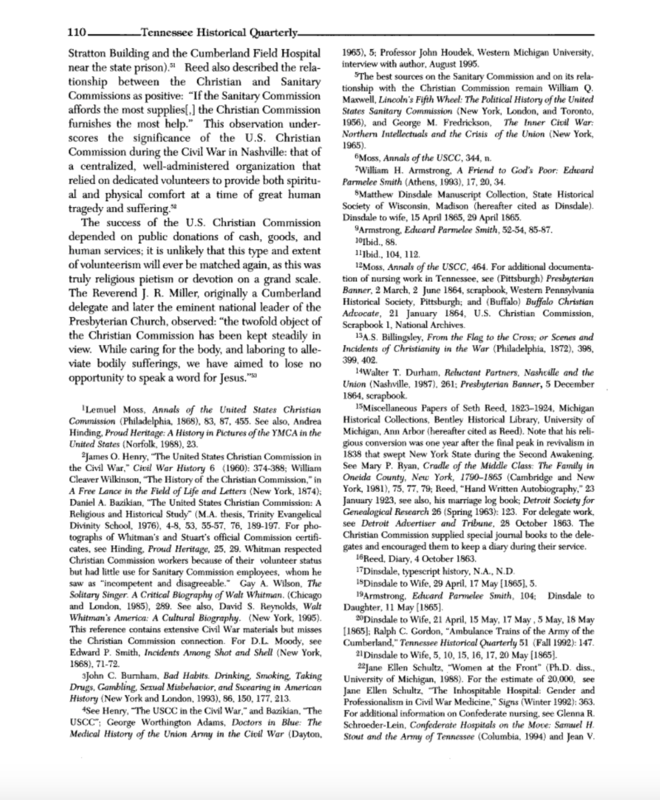 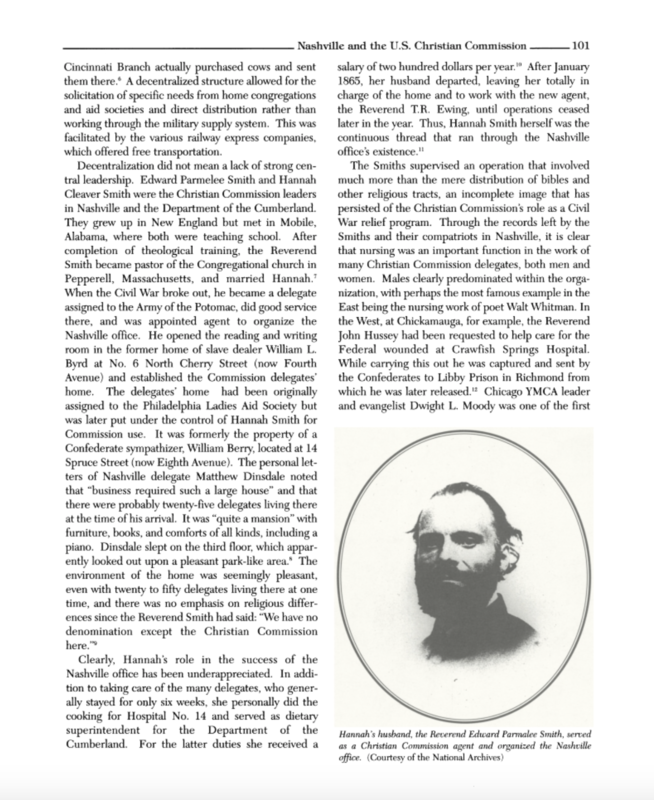 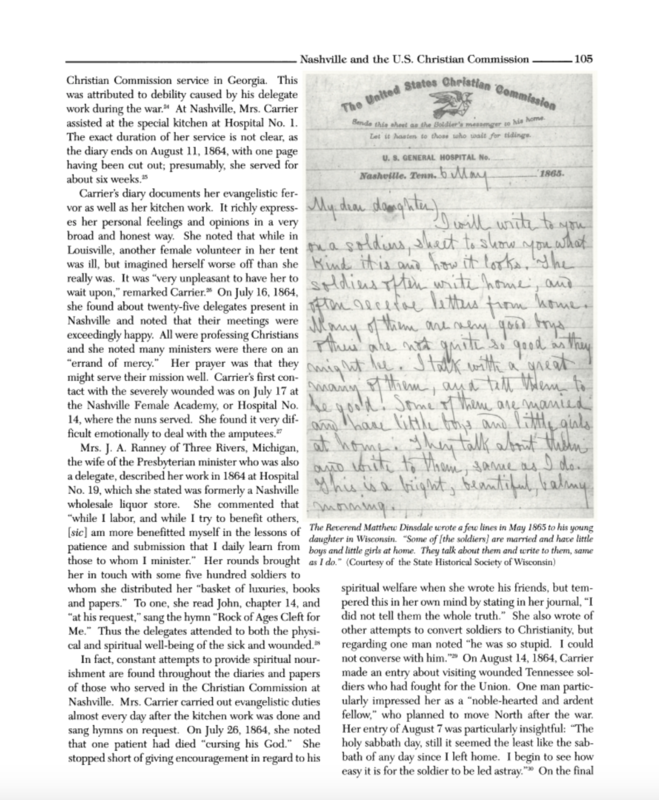 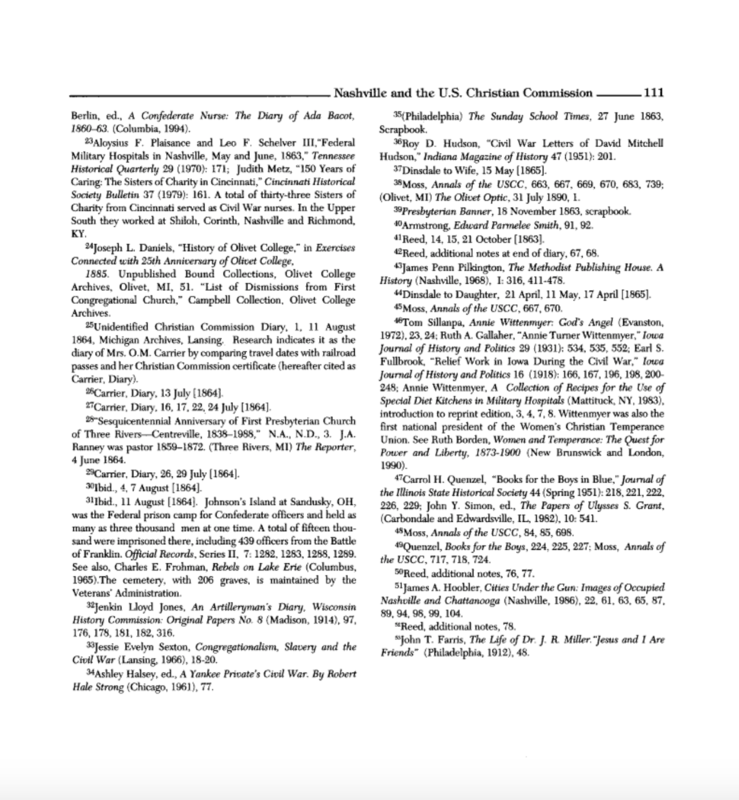 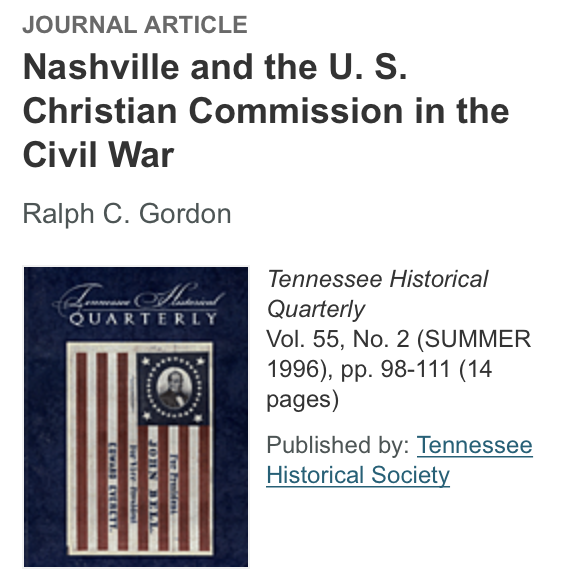 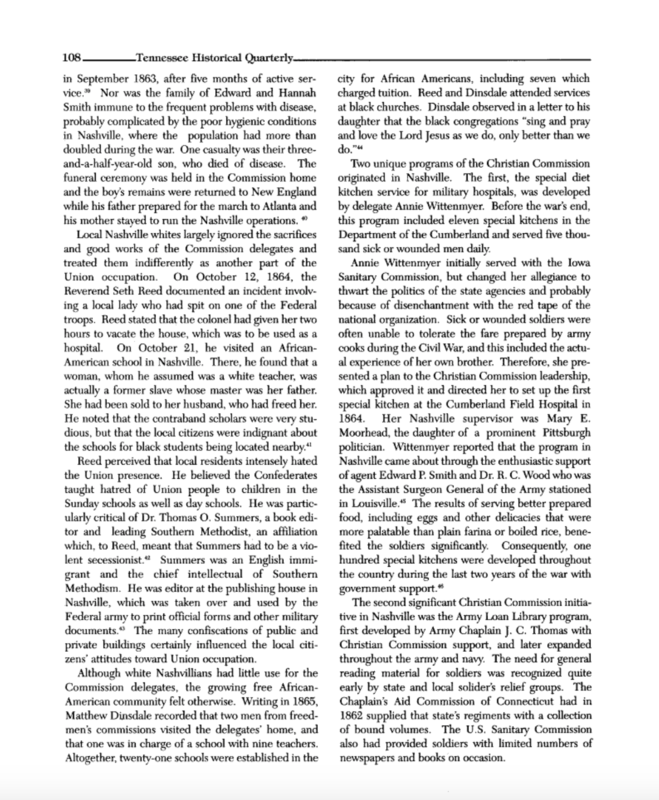 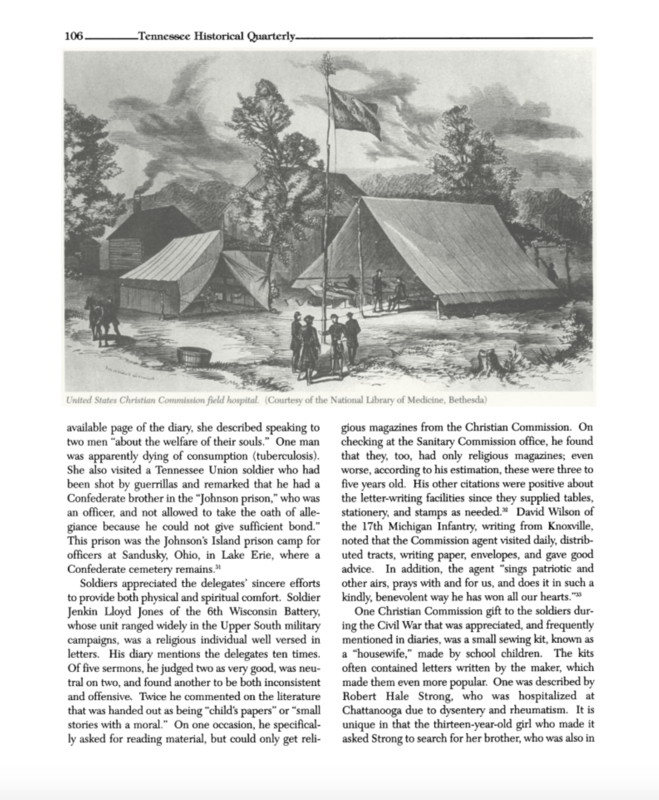 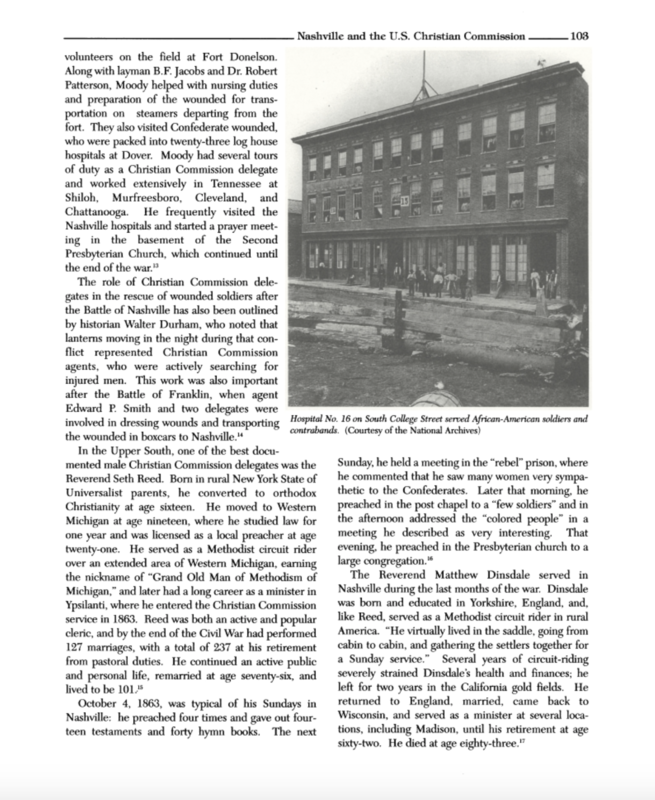 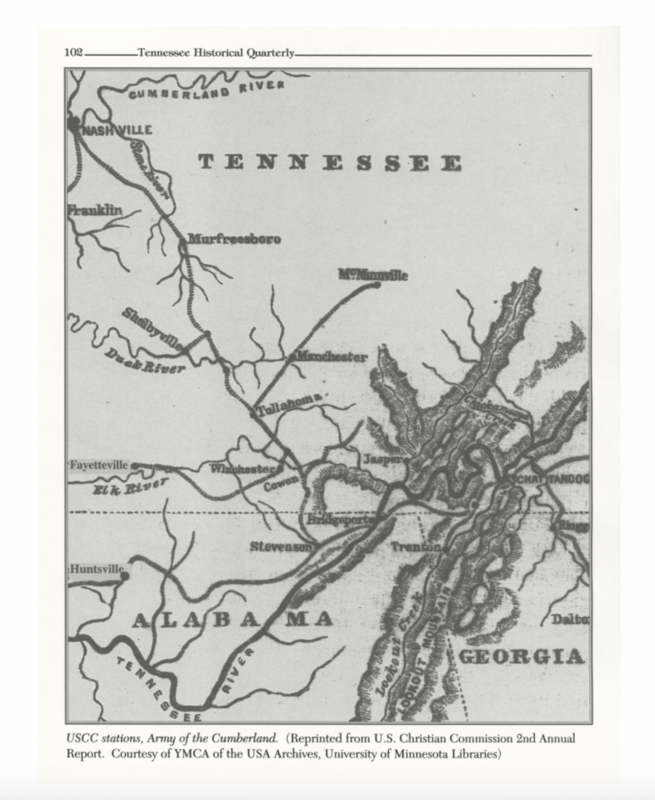 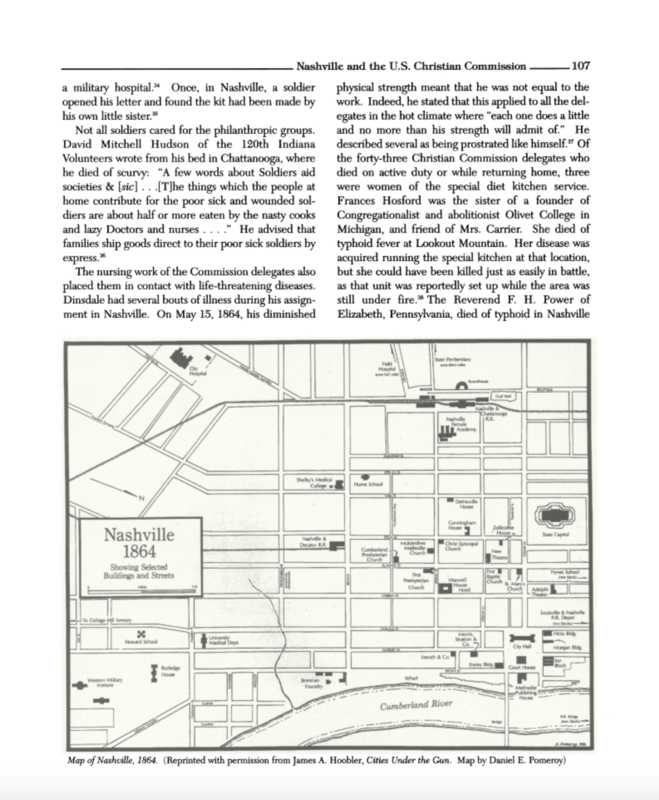 Gordon, Ralph C. “Nashville and the U.S. Christian Commission in the Civil War.” Tennessee Historical Quarterly 55 (Summer 1996): 99–111.